A police officer in Kansas City, Kansas, was killed Tuesday afternoon after pursuing suspects wanted in a drive-by shooting, authorities said. Kansas City, Kansas, police Capt. Robert Melton was pronounced dead at the hospital. Police said two people are in custody and they are not looking for any other suspects, NBC affiliate KSHB reported. “There’s a lot of pain and brokenness in our community and nation right now,” Kansas City Mayor Mark Holland said at a news conference, pleading with residents to “not go down a path” of fear and hatred. 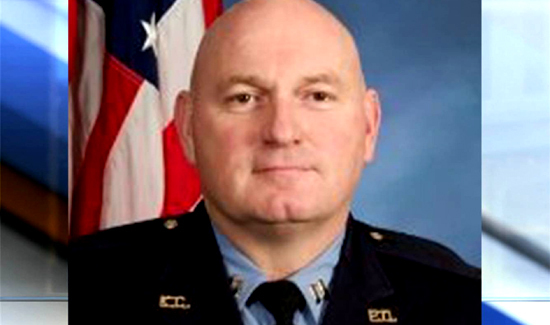 Melton’s death is the latest to rock the law enforcement community in the city of 467,000 people after KCK Police Detective Brad Lancaster was killed in May.